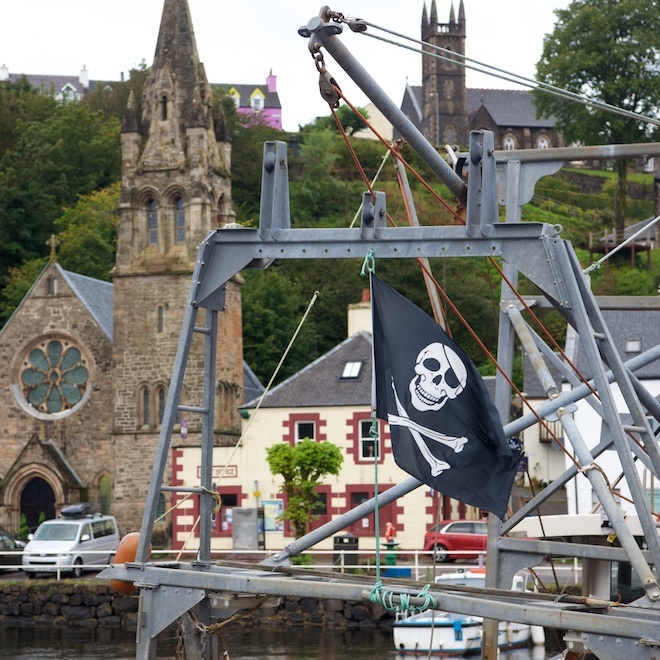 The first ever Tobermory Book Festival takes place in Tobermory from 25th to 28th October. 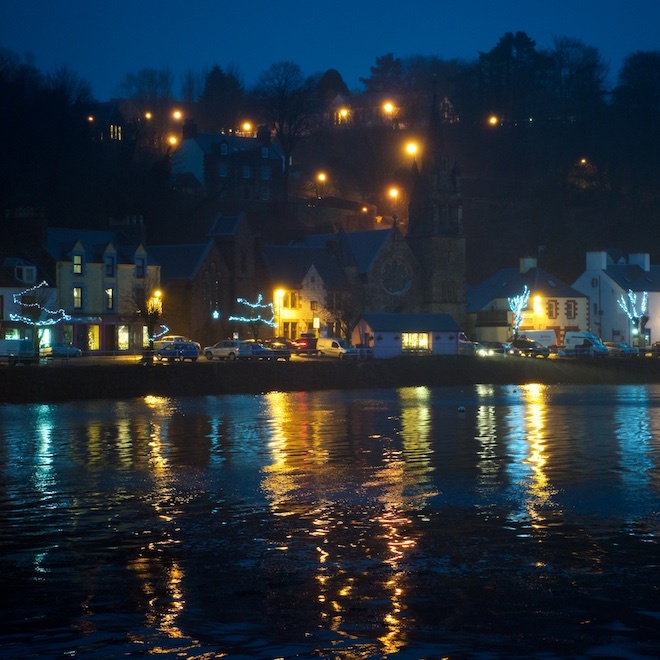 Please contact us for details of our Tobermory Book Festival Special Offer! There is so much planned, so many interesting events to choose from. 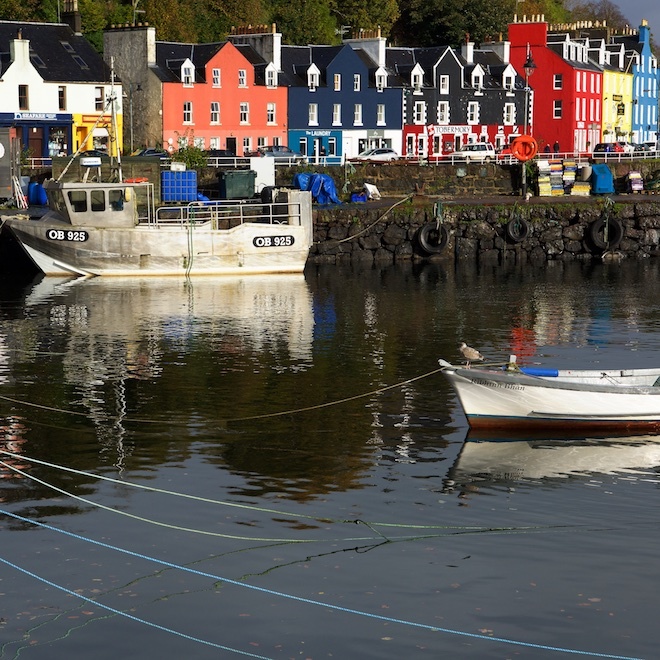 All with Tobermory as a backdrop – what is not to love about that? The Tobermory Book Festival has been organised by Duncan Swinbanks (Tackle & Books), Hugh Andrew (Birlinn Books) and Hugh Raven (Ardtornish). They have lots of interesting talks and events planned with some excellent writers are taking part. There is something for everyone! For lovers of wildlife and environment, for lovers of poetry and photography, for lovers of good food and whisky, geology and history…. Speakers include Adam Nicholson who recently wrote the award winning book about the state of seabird populations, called The Seabird’s Cry – and Polly Pullar, a wildlife writer and photographer, who has written A Richness of Martens: Wildlife Tales from Ardnamurchan. Alexander McCall Smith is giving a talk about his latest book, Scotland’s Best Loved Poems. I am looking forward to seeing a new book of photographs by Margaret Fay Shaw from Canna. The Festival will see the launch of this book and celebrate ‘The Campbells of Canna’ too. I spent a day on Canna about 3 years ago, and was lucky enough to have a tour of Canna House. We were shown round by the archivist who had cared for Margaret in her last years. It was fascinating, and I am sure this talk and the following Dinner will be too. There are too many other writers and speakers to mention here, so please look at the website for more details – link below. You can’t really hold any event on Mull without food! Have a look at the Book Festival website for further information. You could listen in on a Conversation with Claire MacDonald over lunch, or taste unusual whiskies with Dinner at the Western Isles Hotel. Helen Swinbanks from Hebridean Lodge will be cooking 2 literary Dinners – one in the Aros Hall and a smaller one at Hebridean Lodge. They all promise to be delicious and interesting. Book early to avoid disappointment! 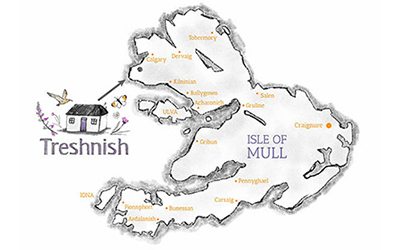 We currently have some spaces left at Treshnish during the time of the festival. Combine the literary interest of the Festival and come back to the peace and quiet of our cosy cottages. Sink into a comfortable chair, with your feet up, whisky in hand, and think back on the talks and literary conversations of the Festival day. Please get in touch for details of our Book Festival Offers! Let’s hope this is the first Tobermory Book Festival of many.